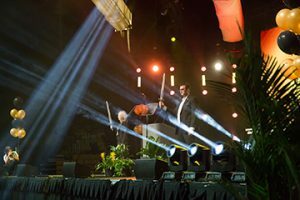 The Knighting is the official university welcome for new students (freshmen and transfers alike). 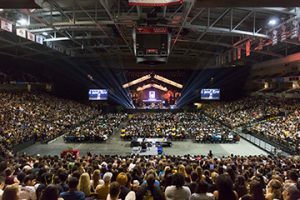 Held the Sunday before Fall classes begin, distinguished speakers, the UCF Spirit Team, Knightro, and others kick off students’ academic journey during an exciting and motivational event. 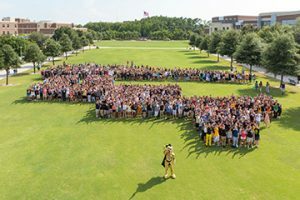 After The Knighting concludes, students will move to Memory Mall for the annual Class Photo, followed by the opportunity to attend a large scale student involvement event, Opening Knight, in the Student Union. Wear the UCF shirt you received at Orientation!